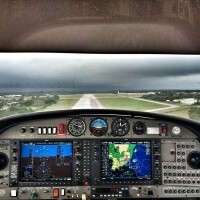 Epic Flight Academy is strategically located at KEVB - New Smyrna Beach Municipal Airport in Florida, USA. Flight training has been our focus at Epic Flight Academy since 1999, and we are proud of our continued growth and ability to provide students a pathway to achieving professional pilot dreams. With students traveling from more than 80 countries across the globe to pursue flight training at our flight school, we are knowledgeable of international pilot requirements, and have the ability to pave the way for aviation success for qualified students. 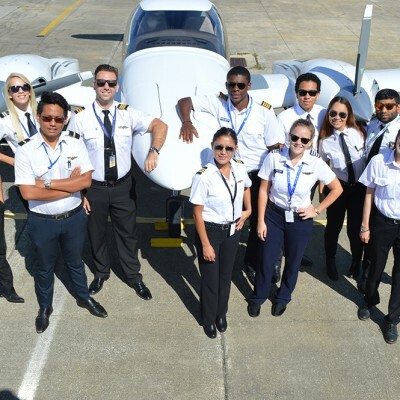 Why Choose Epic Flight Academy? Whether you are have no exposure to pilot training, or are transferring from another training facility, our flight school offers students top-quality flight training in a technologically-advanced aircraft fleet, preparing them for the aviation experiences of their dreams. Providing both individual pilot courses and full professional pilot flight training programs, Epic Flight Academy pilot training is designed to fit individualized needs and necessary requirements for Civil Aviation authorities worldwide. 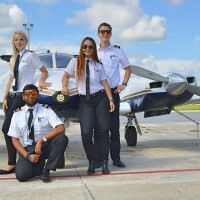 Professional Pilot Pathway: Prioritizing safety and minimizing of course completion time and cost, Epic Flight Academy provides an unparalleled Professional Pilot Pathway, allowing International and Domestic students to go from zero flight experience to a Multi-Engine Commercial Pilot in as little as 6 - 8 months. An accelerated Part 141 flight training package, learn how to become an airline pilot at our flight school and take advantage of the wealth of commercial pilot jobs available in the coming years. Contact our Admissions Team for more details on how to enroll in our upcoming pilot training courses. We have new ground classes starting each month so reserve your seat today before classes fill up. We look forward to assisting you in achieving your aviation dreams! I earned my private pilot license at Epic, the best flight school in the area, continuing the IR and CPL! 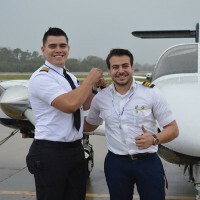 I m enroll in the commercial pilot program at epic flight academy , great experience with this amazing flight academy , airplane well maintained , if i could you an advice guys , choose Epic flight academy as your flight school !!! Excellent flight academy. I just got my CPL at EPIC flight academy after 1 year of training. Good staffs, helpful instructors at Epic will make your dream become a pilot so much easier. Just go to EPIC. If you´re looking for a great flight school, Epic is the place. The maintenance is second to none and the family like atmosphere makes training a pleasurable experience. Epic has great partnerships to further your career as a pilot once you complete training. Their fleet or aircraft is top of the line and so are the instructors and staff. Epic is the place to go! i started my trainning in epic flight academy on april of 2015 and it was the first contact with aviation that i had, today that i just finish my commercial multi engine i would say that i recomend this flight school with you want to get all your license fast and with good quality! Today I just got my commercial license at Epic and I have to say it was a great experience, since you begin being a private pilot until you are a comercial. I appriciate all the help from my instructor for making my dream real!! Intsructors and staff people are very kind and always are in a good attitude. Things like availability of commercial airplanes can be better but otherwise I recommend Epic academy for your private and instrument training. 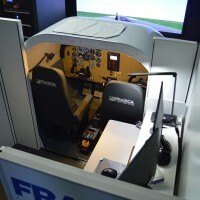 I did my training in Epic Flight Academy in 2008-09. They had the best fleet of aircrafts in the whole of United States. The aircrafts were maintained to perfection and always felt new when you flew any. Great Weather, Great Location. The Safety standards in school taught you the value of safety when it comes to aircrafts and flying. The Airport is amazing with 3 Runways. It was an amazing experience to learn with this school.